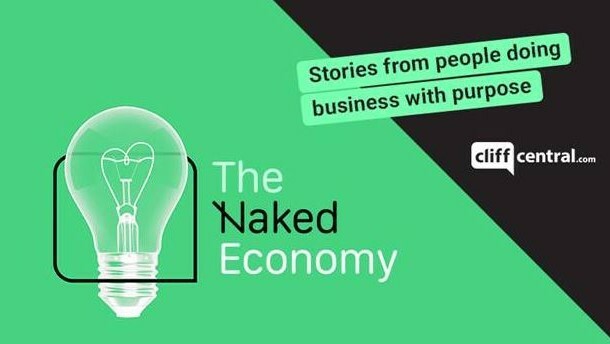 The Naked Economy, a new podcast series on CliffCentral.com, takes listeners behind the scenes of South African companies that are doing things differently and taking new approaches to business that aim to ensure that everybody wins. New episodes air on CliffCentral.com at 10:00 on Thursdays, with the one on Thursday, 31 January featuring Vuleka, a technology business aiming to empower township retailers. Hosted by tech entrepreneur Ernest North, and Shane Durrant, lead singer of Desmond and the Tutus, The Naked Economy aims to tell stories of the people changing the world – from the entrepreneur to the kitchen staff to the engineer who knows the secrets of how companies work. According to CliffCentral.com, the featured companies think about the big picture of their role in society, and use technology and other ways of improving processes so that everybody wins. The Naked Economy is about people who will inspire you to think differently about how you work and how you buy. Episode 1: Discover the story of The Whippet, an eatery in Linden, which credits its success to the way it treats staff. Episode 2: Learn about Vuleka, an app that facilitates bulk purchases of goods sold by township retailers, and its founder’s mission to uplift the community. Episode 3: North tells his own story of learning why there is usually 'so little love' for insurance companies. North shares his journey of discovering how this could be different. All podcasts are available for download on CliffCentral.com, Google and Apple. For more information, visit www.cliffcentral.com. You can also follow CliffCentral.com on Facebook, Twitter or on Instagram.